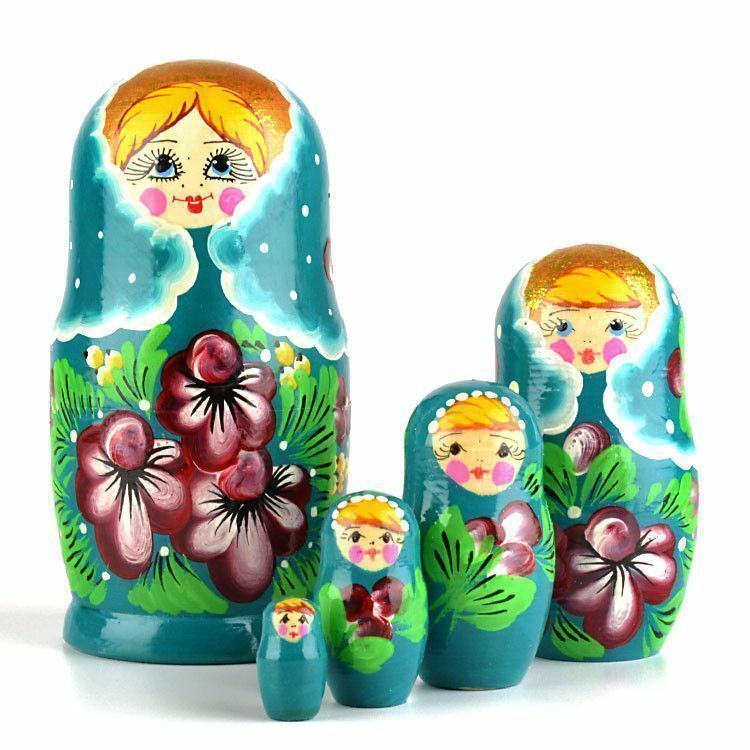 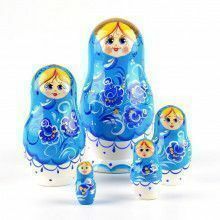 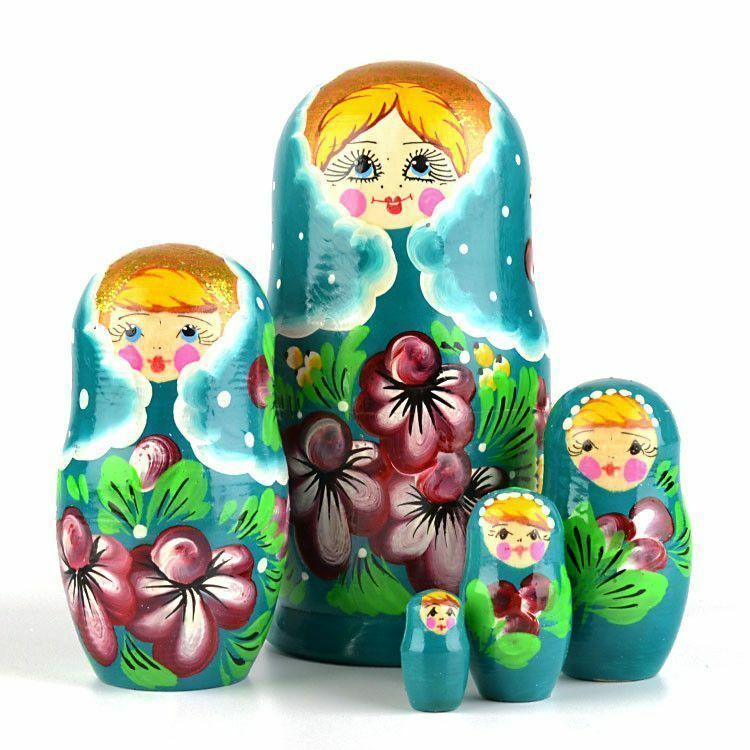 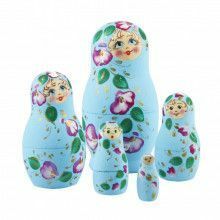 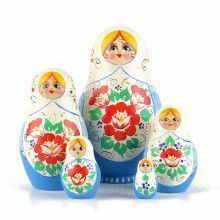 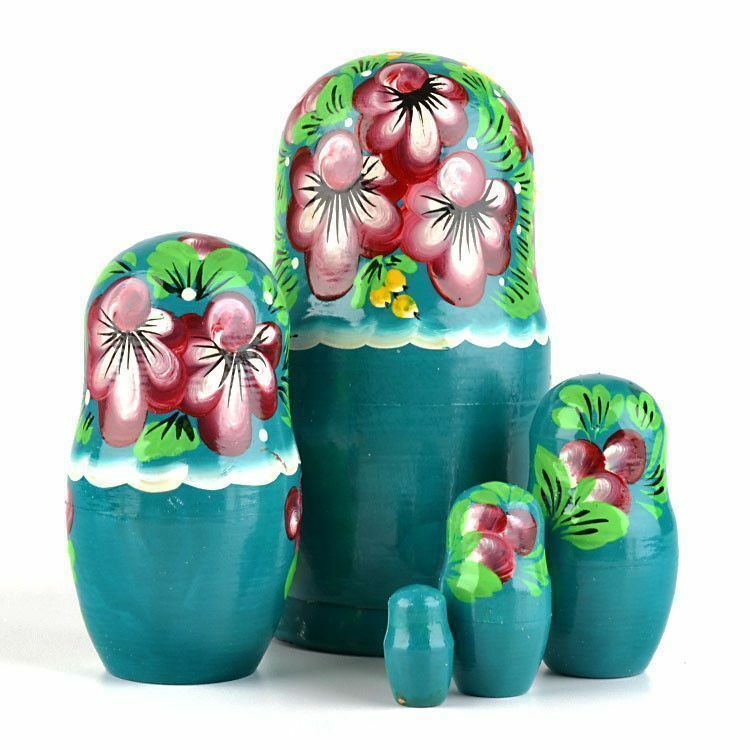 Fantastic teal color matryoshka Russian nesting doll, featuring painted flowers, sparkly accents, and contrasting white polka-dots! 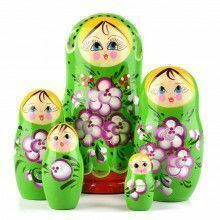 She is very pretty, isn't she? 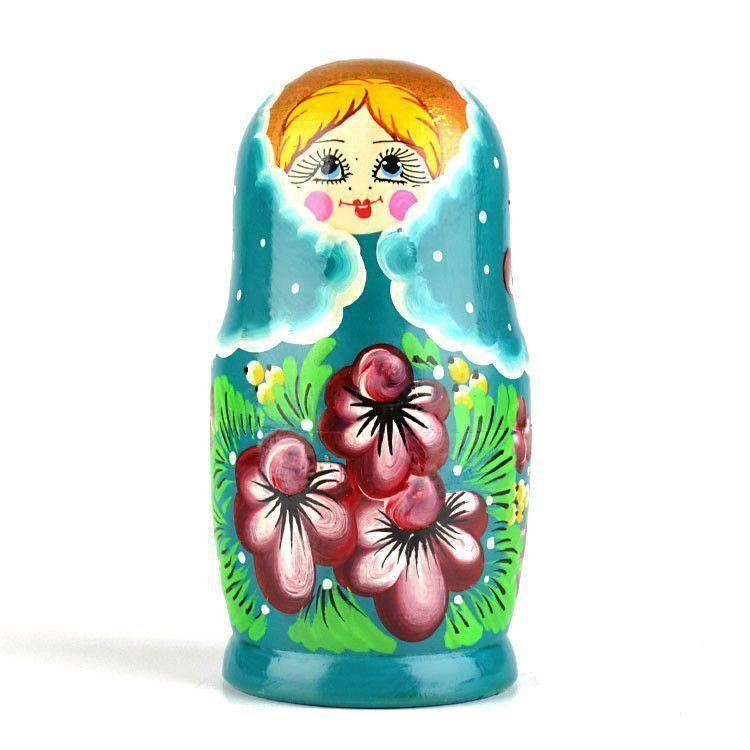 This wooden doll is nearly 6" tall. 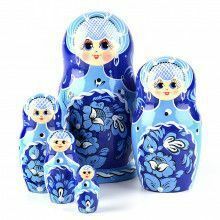 What a lovely and unique way to decorate your home!